The next few days in Prague were spent site seeing. We did so much walking, and I took so many great photos. Here is a small selection of the photos I took. 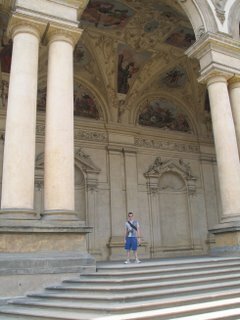 This pictures was taken in the Nove Mesto, or the “New Town”. It was founding in 1348 (yeah really new I know!). 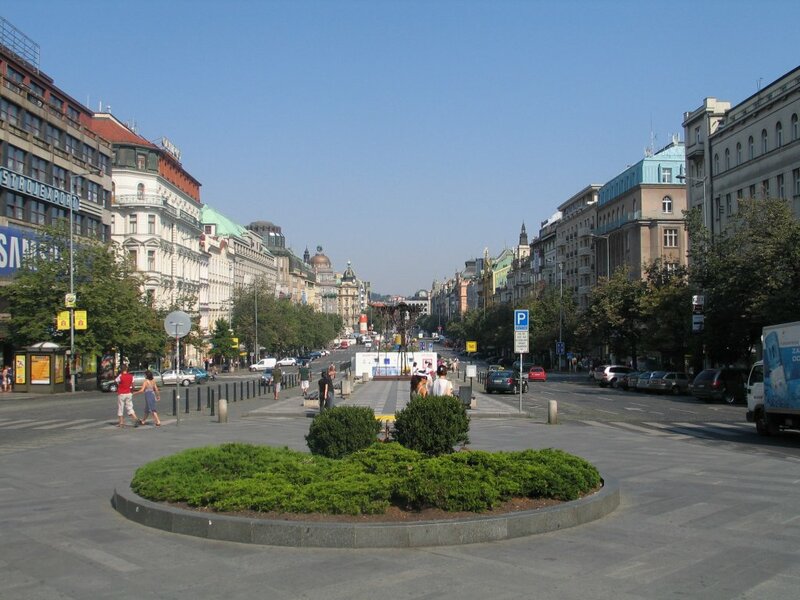 The main part of this area is Wenceslas Square where this pictures is taken. 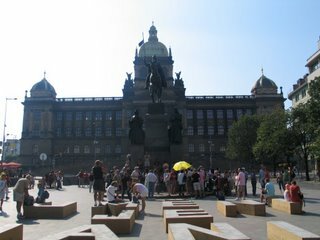 That is a statue of Wenceslas in the background. There is heaps of restaurants, shops and banks in this area. Very nice area! 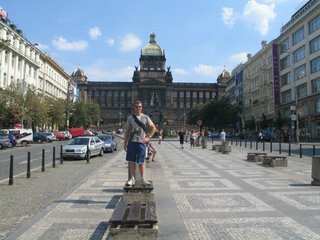 Another photo in Wenceslas Square. This was our first stop from our hostel. 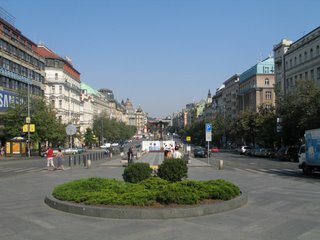 Wenceslas Square looking in the other direction. It was really very big! 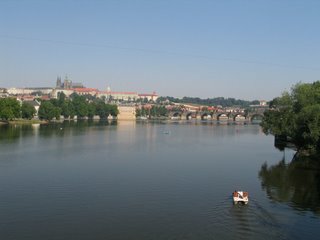 This one looks over the Vltava River toward the very beautiful old town area and Prague Castle! Bit of a walk but well worth it. 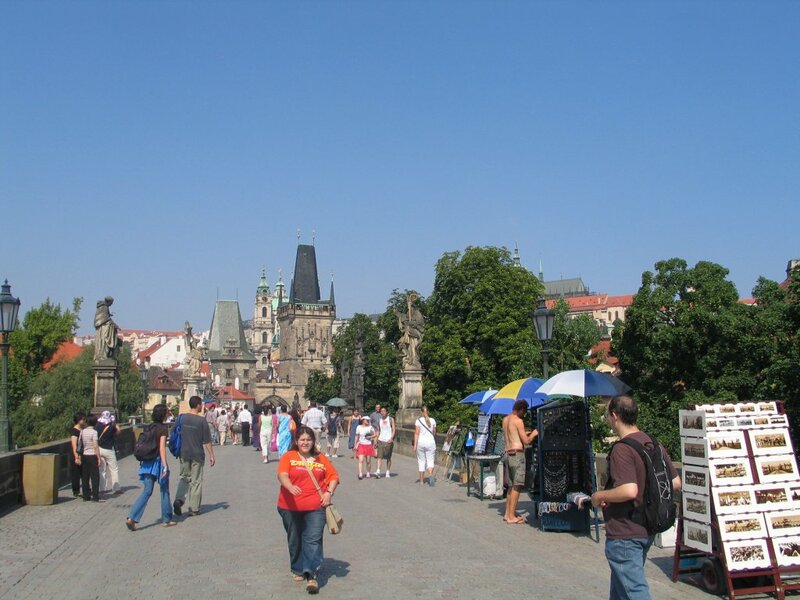 A walk over the Charles Bridge is just Fantastic. Not only are you walking toward the Castle, but along the whole length of the Bridge are statues. 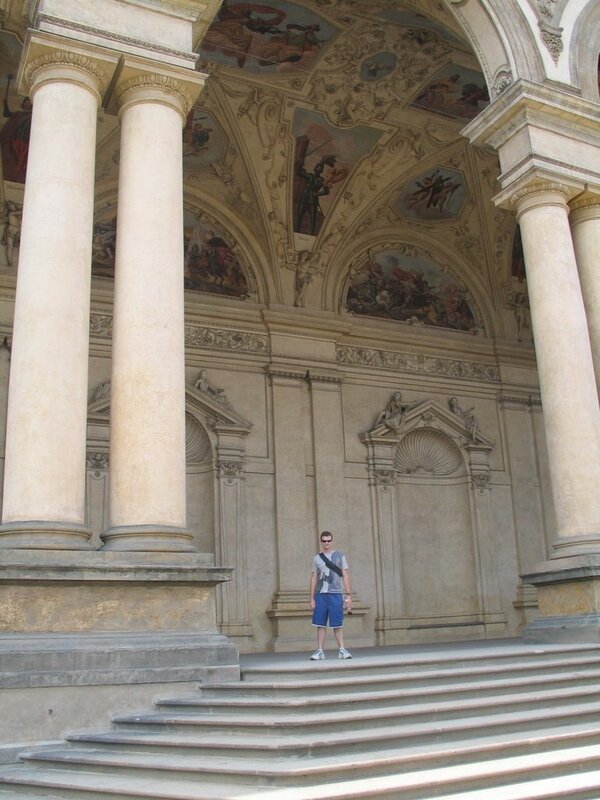 One after the other, I guess the Royals use to like lots of statues! 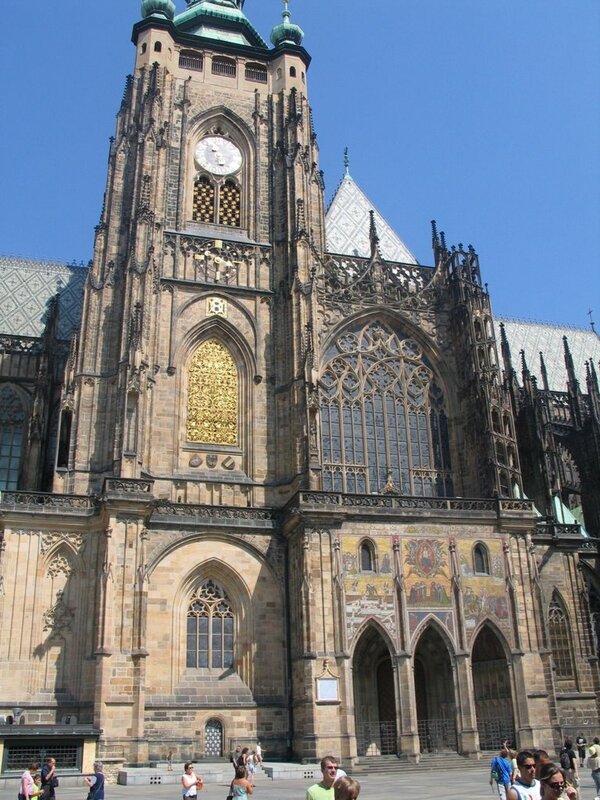 St Vitus Cathedral in the grounds of Prague Castle. This was just amazing! 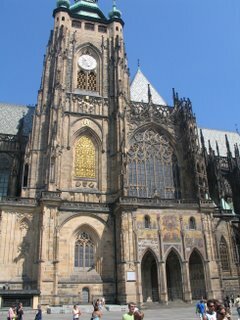 Inside was so amazing, and this Cathedral was freakin Huge! We spent a lot of time here. 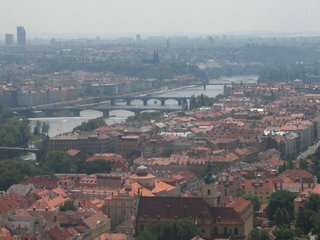 The view from the top of St Vitus Cathedral. We decided to go to the top (because we paid for it) even though it was some 500 stairs, and it was a very confined space. After fighting the crowd up the stairs for what seemed like 45 minutes, we finally got there. The view was well worth it! 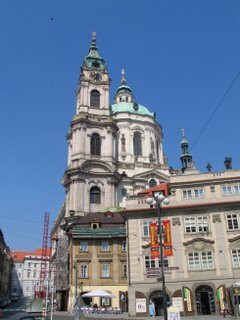 Picture of St Nicholas church in the “Old Town” area just below Prague Castle. This was absolutely brilliant inside. I would love to post some pictures but taking photos wasn’t really allowed! This photo is of the “Old Town” on the Charles Bridge side of Prague. 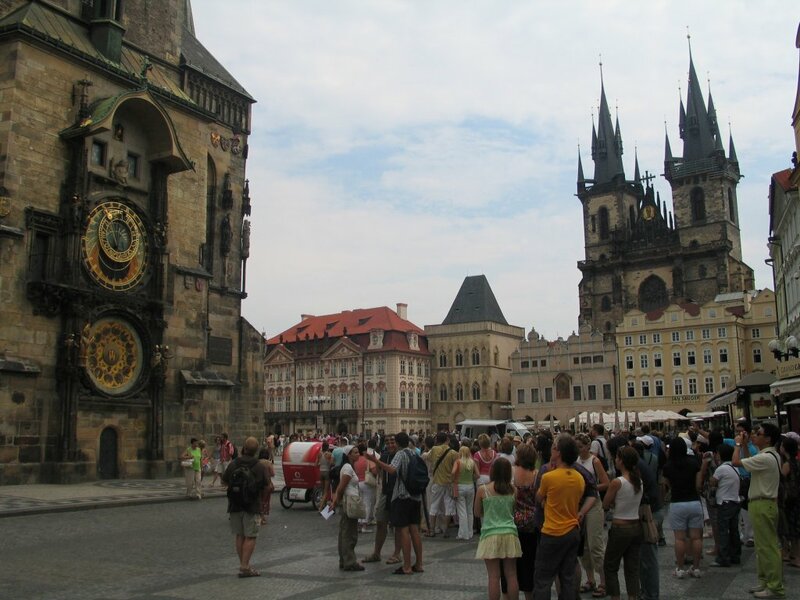 The Clock on the left is the famous Astronomical Clock built in 1410. This was just before midday, and on the hour it puts on a bit of a show with statues and bells moving and chiming. It is quite cool. 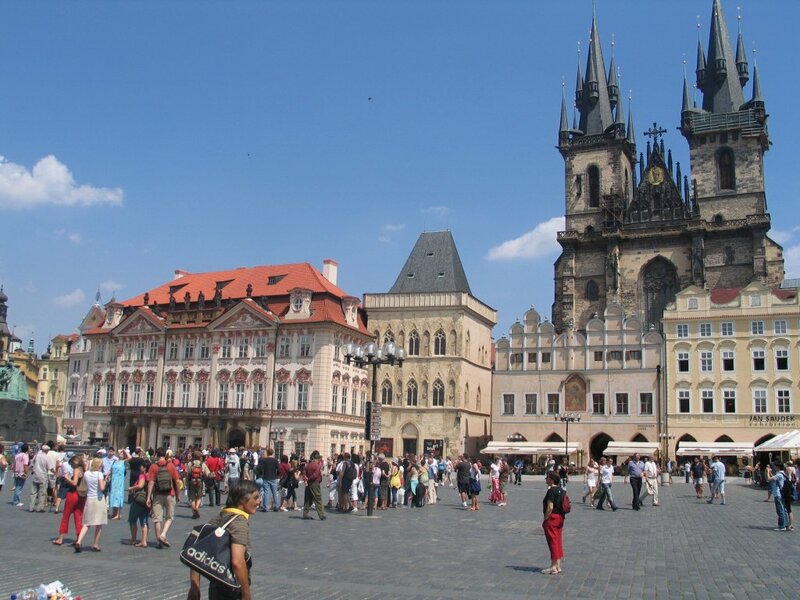 On the right is the Tyn Church which was built in 1365. This is very impressive. 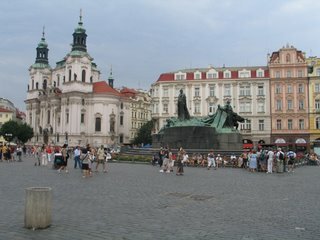 A long shot of “Old Town Square” with the Jan Hus Monument which was placed there in 1915. 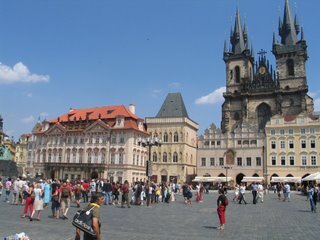 Another angle of the “Old Town Square” with the Tyn Church in the distance. Me standing on the stairs of parliament house. The art work is very impressive. So were the Gardens. 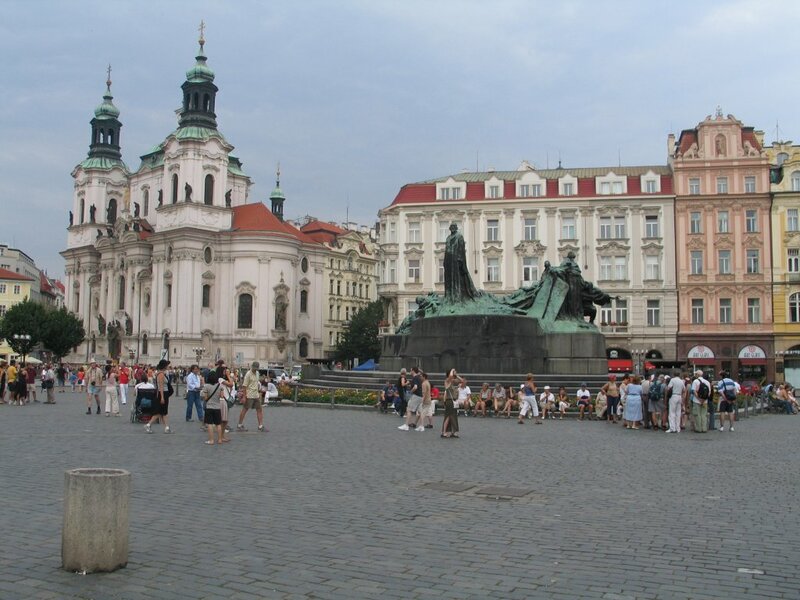 On the last day in Prague we took a train to the small town of Plzen. 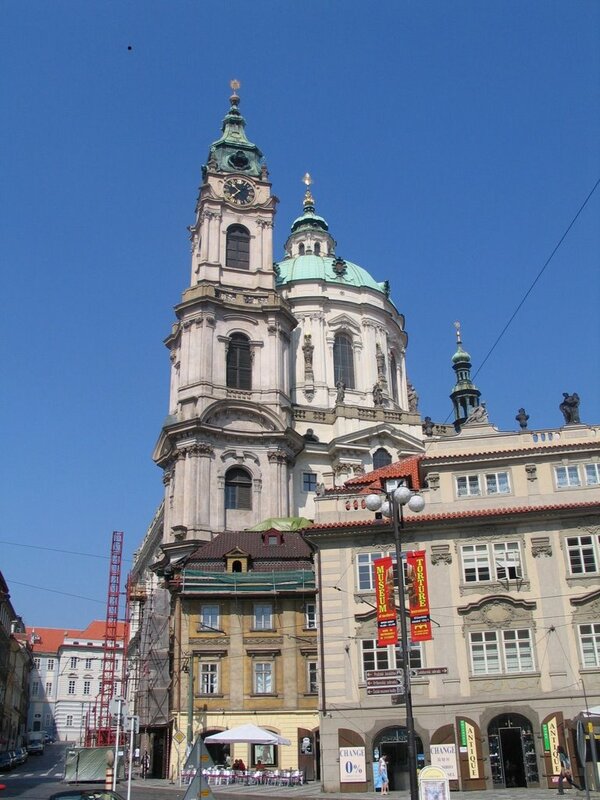 This is the home, and birth place of the first Pilsner beer. The brand now called Pilsner Urquell is now exported world wide and was our favorite drink in Prague. In some pubs you would get a 500ml glass for as little as 24K, which is about $1.50 AUD and less than 1 Euro. 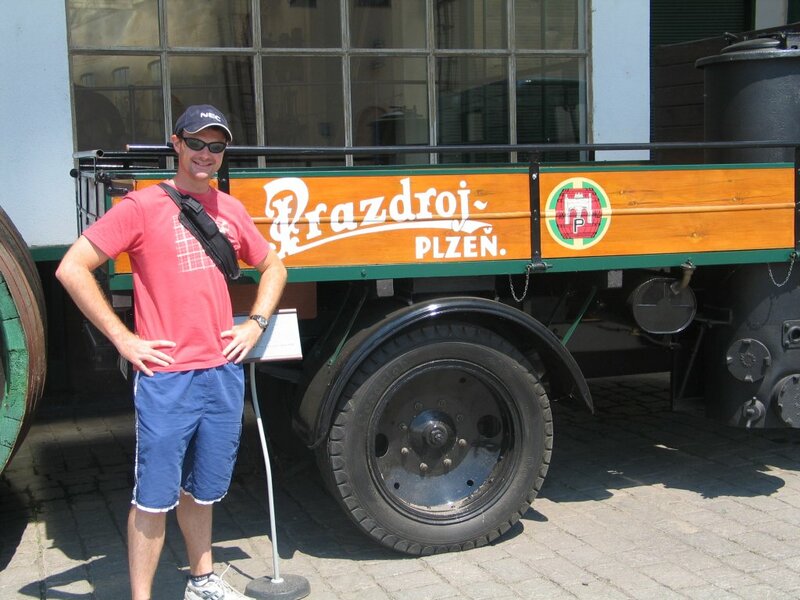 The processes for brewing has been modernised over the years, but they still brew some beer in the old fashion way. 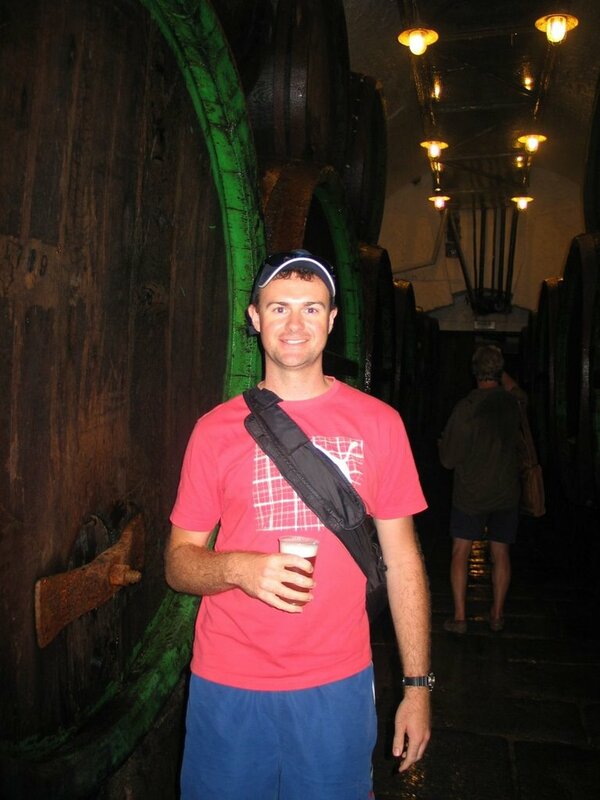 This picture is of me enjoying the unfiltered beer directly from the barrel, which was deep down underground in the extensive cellar network. It was very very nice. Another shot of me at the brewery. The next day we flew out to London. London photos coming soon! Hey man, you are looking really fit nowadays!! You must be getting a lot of exercise, building small houses :), cycling, walking etc. Lot of cycling, and walking on Holidays. Also can’t afford to eat as much!!! !